This entry was posted in Deep Space 770, Reference Director! and tagged Arkady Strugatsky, Boris Strugatsky, Hampus Eckerman by Mike Glyer. Bookmark the permalink. 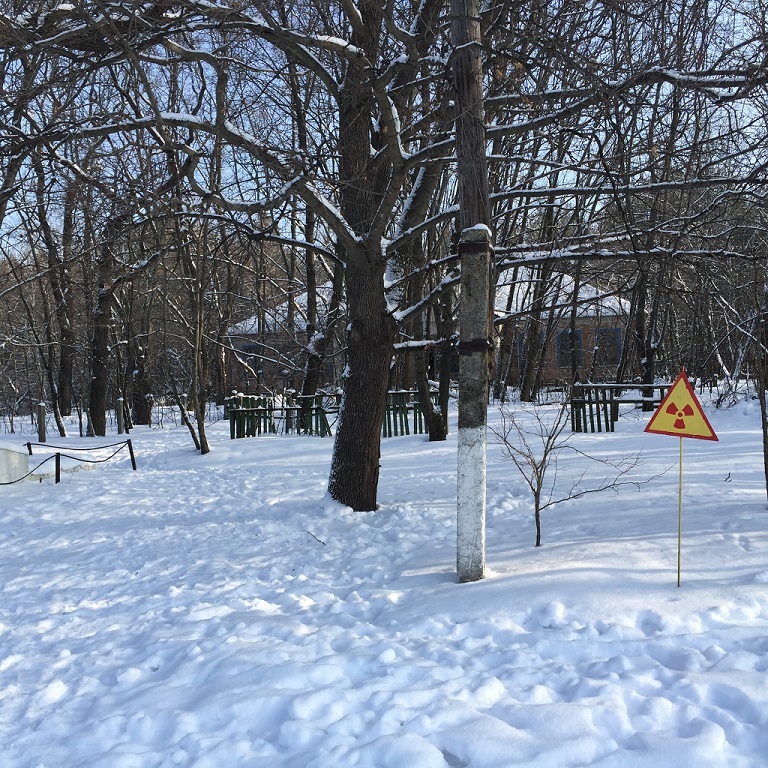 For the life of me, I can’t remember if my friend Jim Young ever visited Chernobyl; I know he worked in disarmament, and did some visits to areas that the Soviets had not let anyone travel to. The timelines of his travels with the State Department versus the accident in ’86 are confused to me now, and now Jim’s not here to be able to ask for clarification. Thank you. That was illuminating and truly, madly, deeply scary. 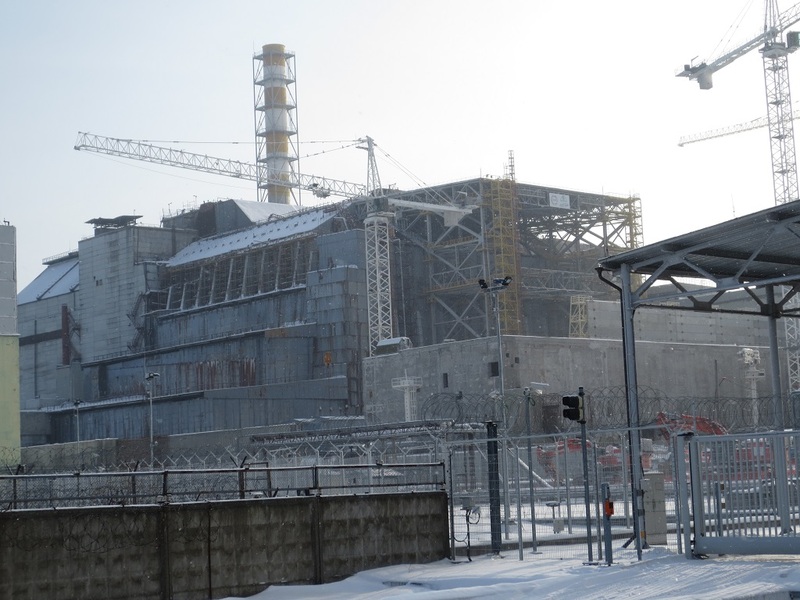 Since it’s officially part of Ukraine, I’ve been spelling it in accordance with Ukrainian rules: “Chornobyl”. Oddly enough, most of the affected areas — other than the reactor site and the town of Pripyat — are in Belarus and Russia. I know someone who was a child living in Kiev at the time of the accident. She says that the government delayed reporting the disaster for more than a day, due to desperately seeking for ways to spin things and cover asses — therefore people in Kiev were not told to stay indoors and were exposed to far more fallout than they needed to be. She herself got out early because her family knew someone in the nuclear administration who tipped them off. Also, winds were not blowing from Chornobyl toward Kiev, or there would have been one hell of a cancer epidemic in that large city. Ginger: I’m sorry that’s getting in the way of your enjoying the article. Vasha: That is the same information I got from the museum and from the documentary they showed us on the bus on the way to the site. They even encouraged people to go out may day parade, exposing them to radioactive dust. All official photos from the parade later disappeared from the archives, only privately owned photos remain. Another scary thing is how reservists in the Soviet army got the choice to help with the cleanup of the roof of the reactor. Either one minute there or 2-3 years in Afghanistan were their choices. Over 500 000 people took part. Many of them got sick later on or developed cancer. Still, it is extremely hard to see what the choices were as all machines died from the radiation if they were used for cleanup. People in Ukraine have still not forgotten and forgiven the government’s delay either; there are many causes of bad blood between Ukrainian and Russian government but that’s one of them. Fascinating write-up Hampus, particularly the Stalker connection. There are still some areas in Norway where sheep and reindeer have to be “fed down” before slaughtering – meaning that instead of being rounded up from grazing and taken to slaugher, they are given safe and non-radioactive feed for a couple of weeks to reduce the radioactivity in the meat. Sheeps are also given extra iodine and kalium, either mixed in salt licking rocks or by feeding them a slow-release capsule, which reduced the amount of Cesium they take up. The magnitude of the problem varies from year to year – mainly from how much mushrooms there are, mushrooms absorbs lots of radioactivity from the ground and are popular among sheeps. The Perimeter system was a system that analyzed data from a difference of factors as radiation, seismic activity and atmospheric pressure. 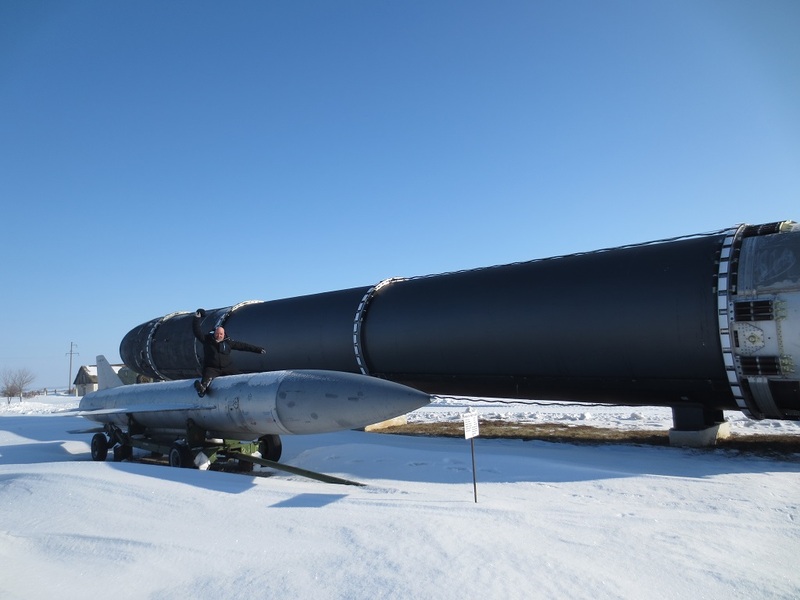 If the system judged that a nuclear strike had occurred in Soviet Union, it would automatically deploy all existing nuclear missiles, bypassing any human decision making. this kind of thing is seriously spooky. 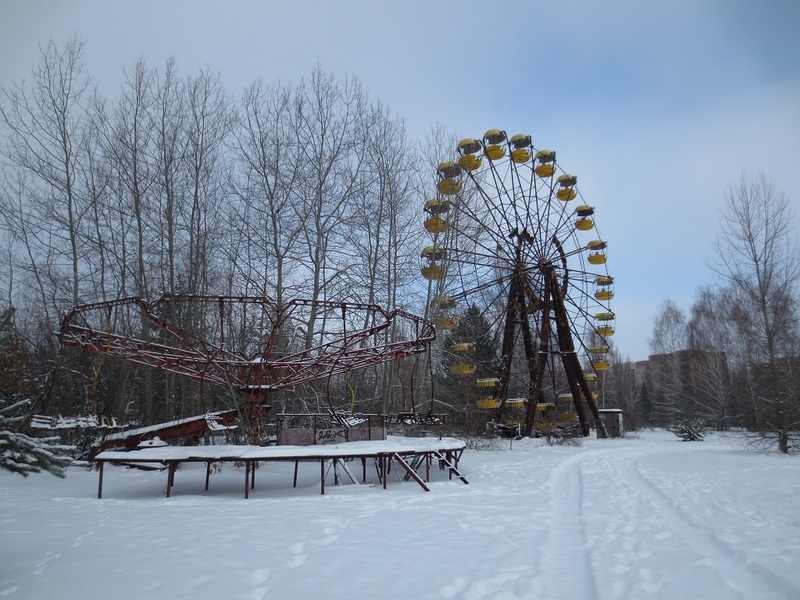 Chernobyl (or Tschernobyl, as we spell it in Germany) happened about a week after my 13th birthday. Unlike Hampus’ experience in Sweden, there was quite a lot of awareness of the risks of radiation and fallout here in Germany. But then, nuclear power already was controversial in Germany and became only more so after Chernobyl. And I lived in North Germany, where there was less fallout than in South Germany. I remember that at school we were not allowed to go out during recess, when it was raining because of the fallout (which didn’t help much, since we had to go to school by bike and were exposed to the rain anyway). We were warned against drinking milk and farmers had to plough under lettuces and other fresh greens. There were also warnings about eating venison, wild mushrooms (which still have higher radiation rates 30 years later) and wild berries. My parents had a holiday home in an area called Teufelsmoor at the time and when I went roaming through the woods later that summer, I remember that there were more wild blueberries, raspberries and blackberries than I have ever seen before or since. Of course, I picked and ate the berries – I was 13 after all. For a few years after Chernobyl, you also saw a lot more mushrooms in the wild than you used to. Thanks Hampus. This is what I love about this place. I remember playing S.T.A.L.K.E.R back when it came out. It was an incredibly atmospheric game, in that the world building was really well developed, engaging, and permeated much of the game. 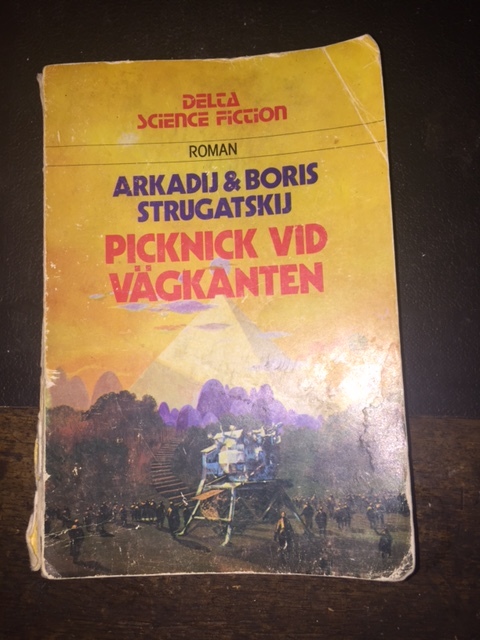 Few months back someone mentioned Roadside Picnic. and I thought, “Huh, that sounds familiar”. And now this article, with the impact the game had in terms of the Stalker subculture, something else I wasn’t quite aware of. Coincidentally, I stumbled across this article the other day. Its an article about the famous photo of Artur Korneyev, Deputy Director of Shelter Object, viewing the “elephants foot” corium flow at Chernobyl in 1996. S.T.A.L.K.E.R (Full name: “S.T.A.L.K.E.R. – Shadow of Chernobyl”) was originally announced in 2001, and after a prolonged and troubled period of development (which resulted in some “vapourware” awards!) was released in 2007. It was a great game, full of atmosphere. A prelude, “S.T.A.L.K.E.R. : Clear Sky”, followed in 2008, and a sequel called “S.T.A.L.K.E.R. : Call of Pripyat” came out in 2010 (earlier for the Russian version). I didn’t like them as much as the first, but they’re all good in their own way. I remember the news came in while I was at work (the US heard the news from Sweden, so this was way before the Russians and Ukranians were told) and we all just stopped and gathered around a radio (we couldn’t find a TV that picked up signals) to listen and talk about it. Several of the people were MDs, so they predicted the cancer rates and what kind. My brother had Sami (Lapp) friends in Norway who couldn’t eat their reindeer for a while and their birch trees, mushrooms, and lichen were also radioactive. It was a huge imposition on their traditional lifestyle. I mean, you just can’t mess with the Sami reindeer! Fascinating. Thank you for the write up! Completely off topic, but what’s that (porcelain?) trophy the athlete (hockey player?) is holding? It looks like there’s a Hello Kitty (without the bow) on it. And I’ve now used up my allotment of parentheses. 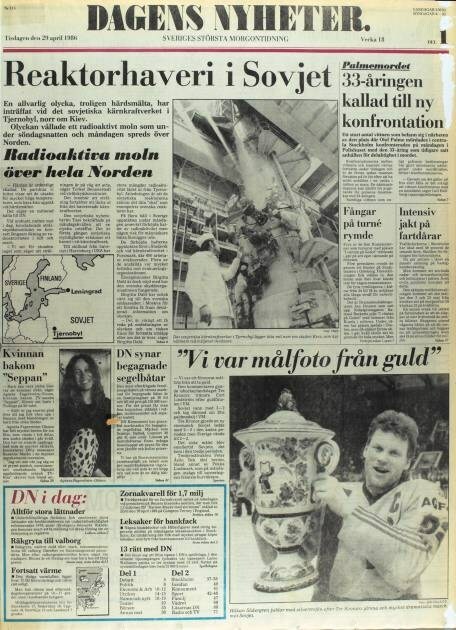 My guess is that the hockey player is Håkan Södergren, one of the best players in Sweden at that time. It would be from the World Ice Hockey Championships where Sweden won second place. The games took place in Moscow. I know nothing about the trophy, but I guess it would be that years mascot on it. That was fascinating. Haven’t read the book or played the game and so only know Stalker from the Tarkovsky film (which I’m told is quite different from either) but I think I get the sense of the same quasi-illicit exploration. You have to stalk Chernobyl? It is just sitting there! And it is miles across! I don’t think there is much chance of it running away from you if you step on a twig. For those unaware of it, Wolves Eat Dogs, the 5th (ha!) volume in Martin Cruz Smith’s ‘Arkady Renko’ series, is set in post-disaster Chernobyl. The series itself isn’t SFF genre, apart perhaps for some slight exaggerations about hagfish in Polar Star (but then again I’ve never met one so I might be wrong), however Smith is no stranger to Horror and Alternate History. A couple of my closest friends visited Chernobyl around 18 months(?) ago – I’ll see if I can get one of them to post a link here to his write-up of the trip. Can’t be too careful. See also: gazebo. There is a book–Wormwood Forest by Mary Mycio–about how the wildlife came back in the Chernobyl Exclusion Zone. Apparently radiation is not good for wildlife, but human presence is much worse. That book really changed my mind about nuclear power. It’s astonishing how quickly those things can turn a heavily populated area into a wildlife preserve. On the other hand, for power in *my* neighborhood I think I’d prefer solar.